Quartzburg dates to 1867 with the development of the Gold Hill mine. The Quartzburg post office operated between 1874 and 1940. "Quartzburg is a little mining hamlet situated at the extreme northern portion of the Boise Basin. It is kept up mainly by the Gold Hill Mine and reduction works." "The Gold Hill Mine is crushing away day and night, with twenty-five stamps, crushing fifty tons per diem. This is the finest mill in the territory." A fire in 1931 burned all the buildings in town except the post office and the school. Between the fire and the closure of the mine in 1938, Quartzburg was never again a boomtown. 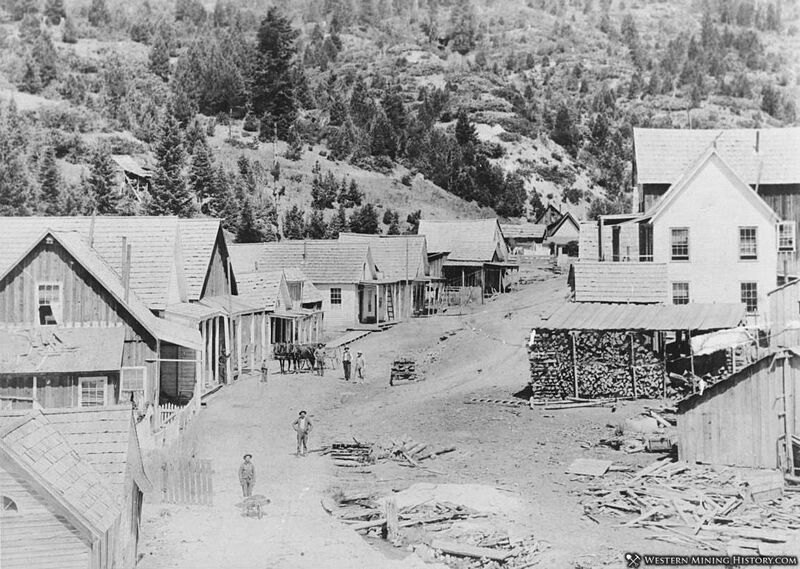 The Gold Hill mine produced over 450,000 ounces of gold from 1863 to 1938.